THE BBC’s service to Microsoft [1, 2, 3, 4, 5, 6, 7, 8] is not too shocking, especially when one considers the intersection with Microsoft UK staff [1, 2, 3, 4]. We sometimes call it “MSBBC”, along the lines of MSNBC. The BBC has announced that it has struck a deal with Microsoft and has launched the beta version of a new video on demand service: iPlayer. The last time the BBC worked with Microsoft it managed to exclude Apple Mac OS X and GNU/Linux users. It also ended up paying outrageous amounts of money for some DRM deal with a convicted monopolist which delivered bad service (the BBC ended up running to Adobe for help). So why is NBC Universal involved with Microsoft in the first place? Microsoft is clearly not in the news business, is it? This whole MSNBC situation is one that we last covered two weeks ago. The BBC is falling into a similar trap. 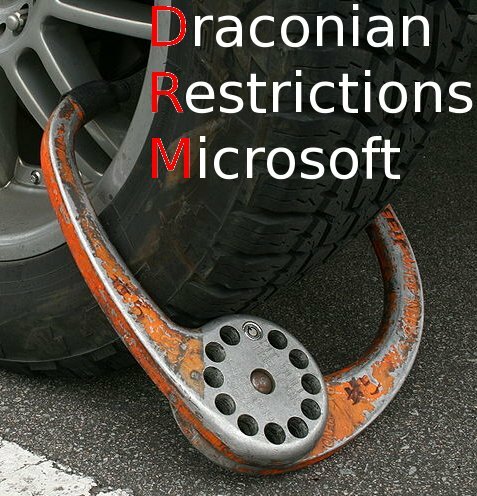 In other new, “Netflix Spreads DRM Evil With Microsoft,” says this headline. Netflix has selected Microsoft PlayReady technology and the Protected Interoperable File Format (PIFF) for use in new Netflix ready devices and applications. Netflix embracing DRM more? That’s not good news… Even worse, it seems like they are completly ignoring their Linux-using subscribers (which would make up quite a few people), and making the only option for them to resort to MoonDark, which is total crap and depends on the patent trap that is Mono. Someone recently told me that Microsoft had hired from Netflix and/or vice versa. Maybe someone can do research into that because I never saw hard evidence.